Funded programme to offer boxing as a sport - Key principles include: Discipline, fun and participation and the basics of boxing (a non-contact programme). We ran a total of 4 classes from 3 different schools within Sandwell. A total of 150 pupils took part over a 6 week period: Participating schools include; St Michaels CE School, Holly Lodge School & Sandwell Academy. This programme aimed to increase participation in Sport and Physical Activity across Sandwell. A local football club commissioned our staff to run a fitness programme for their team which was part of the Shapla League 2010. We provided a weekly fitness session which saw an improved performance and higher fitness levels for the entire team. The team finished in first place as a result of this collaboration. We met the skill and talent of this team, we pushed them to higher levels of fitness; giving them increased confidence, motivation, a varied training programme based on principles around teamwork. qualified coaching staff. The coaching was provided free of charge - so we could utilise funds to pay for equipment, this way we could make it more accessible as equipment is expensive and not always accessible. 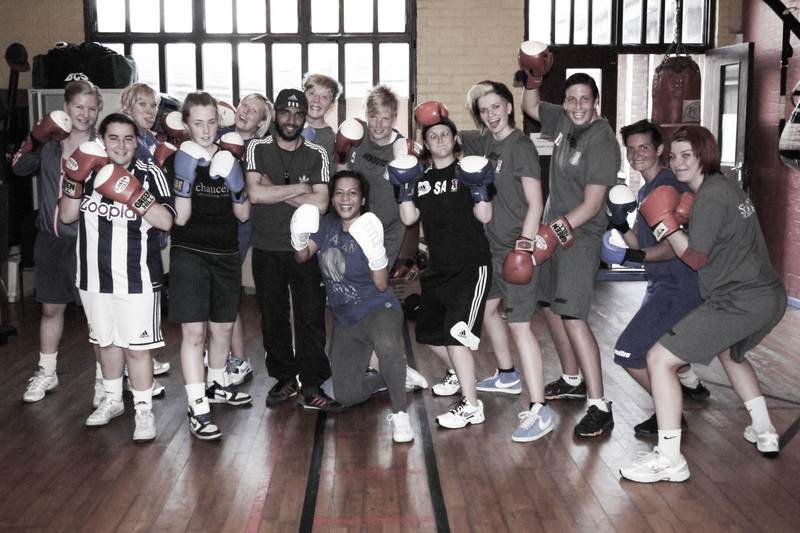 This programme has lead on to the Ladies Only boxing classes that take place weekly at our club. The junior section of our club show of their skills at the annual Sandwell Show at the Sandwell Valley Park Farm. Great day with an amazing display from all the boxing team at Windmill Amateur Boxing Club - Thank you to all the participants and spectators. A great advertising opportunity/method for any group or club - we highly recommend people to visit the annual show, it features a number of groups and activities that range across the Sandwell Borough. Outreach sessions for Sandwell College students to participate in weekly exercise - free fitness sessions based on boxing/boxercise principles. This class is a grass roots participation scheme whereby students will be encouraged to join a local club delivering amateur boxing as a sport. A corporate boxing experience - covering basic principles of exercise, boxing basics and an all round workout. Private Group Bookings to aid positive behaviour and development of young people with challenging behaviour and other issues within and educational environment. Students have shown a particular interest in taking part and improving both fitness and behaviour. These sessions show the positive impact of sport and in particular amateur boxing, on the lives of young people. We recently did a team session to support the ladies of Tipton Town Ladies FC - and they were brilliant! Hard working, sociable and some strong team ethics. Good levels of commitment to their exercise and a never give up attitude. This session was fun for the coaching staff, but importantly we wanted to use this session as an advertising tool for the Tipton Town Ladies FC. 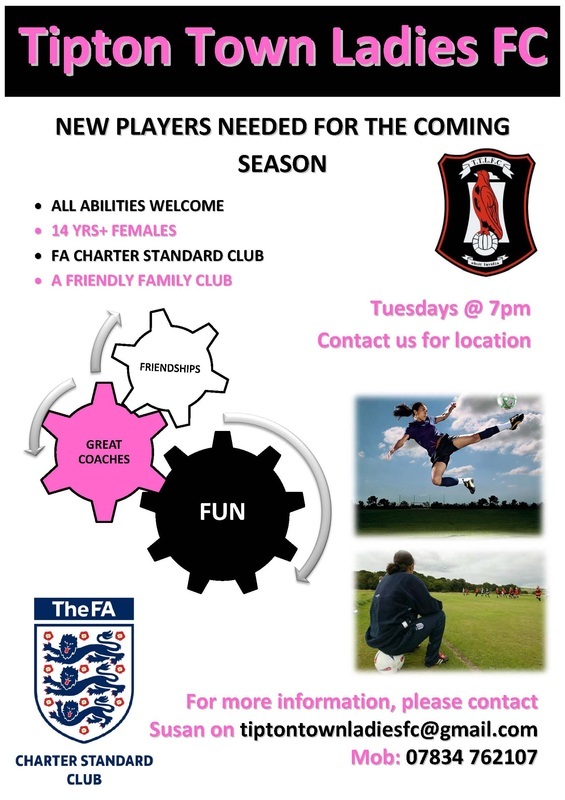 They are seeking female footballers for their club, use the information below to see what you can do offer to the club. Other Significant Programmes . . .
. . . . . boxing excellence for all . . . .